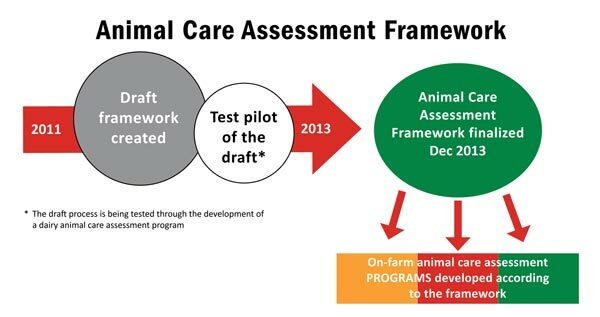 The Animal Care Assessment Framework provides a credible process to follow when developing an animal care assessment program. – David Smith, former VP of Sustainability, Sobeys Inc. The Animal Care Assessment Framework is being supported by Agriculture and Agri-Food Canada’s Agricultural Flexibility Fund, as part of Canada’s Economic Action Plan.